There are many different cosmetic techniques and approaches available to achieve a slimmer and more toned physique. One of these approaches is CoolSculpting®, a revolutionary non-invasive, FDA-approved procedure that eliminates stubborn fat. Through controlled cooling, CoolSculpting® freezes and destroys unwanted fat cells without harm to the surrounding healthy cells. This treatment offered to patients in Birmingham Alabama, results in tighter contours, smoother lines, and enhanced self-image. Unlike some other forms of cosmetic fat elimination, CoolSculpting® is non-surgical and non-invasive. Enjoy a slimmer physique without the worry of anesthesia, incisions, downtime, or pain. Achieving a toned appearance may be impossible through diet and exercise alone. CoolSculpting® offers treatment to even the most stubborn of locations, including the abdomen, hips, and thighs. There is no need to continue fighting with unwanted fat. Instead, enjoy smooth and toned contours. Our confidence levels are at their highest when we are pleased with our physical appearances. Stubborn pockets of fat negatively affect the way we see ourselves and can harm our confidence. CoolSculpting® enables you to wear the clothes you have always wanted to wear and present yourself the way you desire. 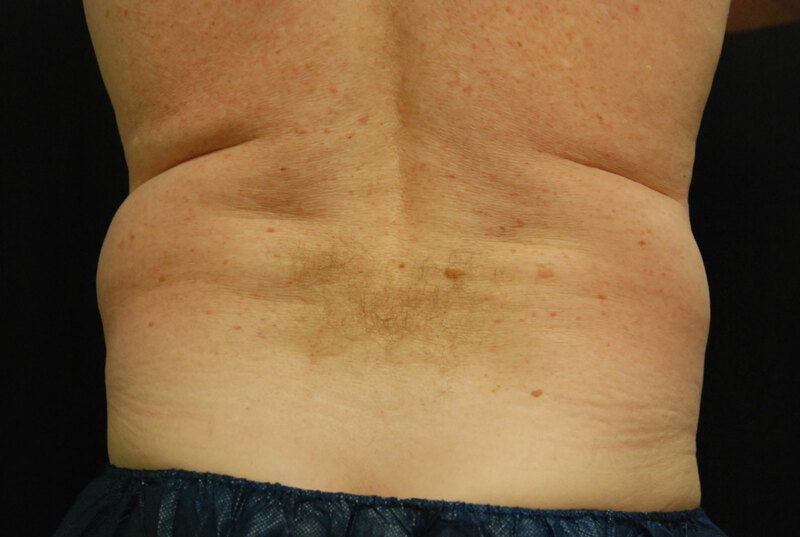 A “pooched” abdomen is one of the leading reasons for fat removal procedures. CoolSculpting® eliminates excess fat in the midsection that has developed after pregnancy, weight fluctuations, and aging. CoolSculpting® is performed on the upper back, mainly in women, to reduce and tighten the skin in the bra-bulge area. Excess fat in the thighs can be both cosmetically displeasing as well as uncomfortable, as it often can result in chafing or rubbing. CoolSculpting® slims the inner and outer thighs, enabling you to look great in jeans, shorts, and bathing suits. CoolSculpting® can help eradicate the appearance of a double chin. By tightening and defining the jawline, you can appear thinner and younger. During your initial consultation, our staff in Birmingham will discuss your goals for your treatment. You will receive recommendations on what areas can and should be treated, as well as how many treatment sessions may be required. While some patients can achieve their goals with a single treatment, others may need additional sessions. As the CoolSculpting® procedure is non-surgical, there is little to no downtime. Patients can return to their daily schedules and work immediately following the procedure. 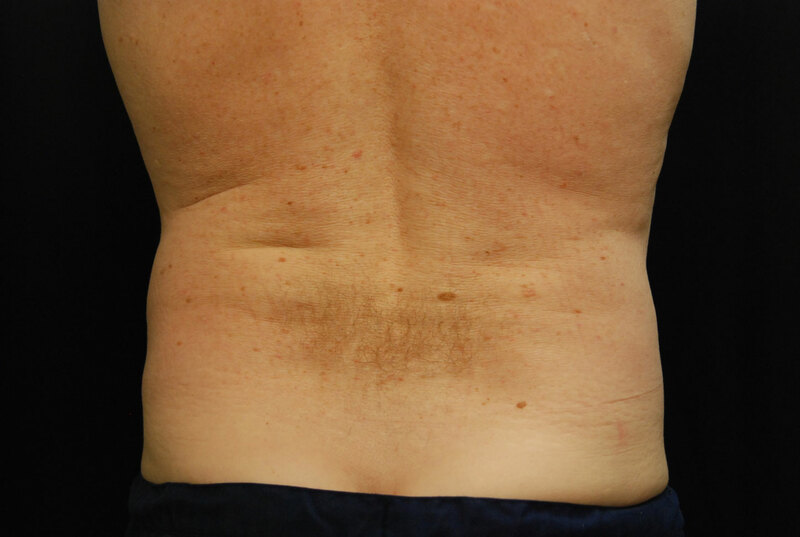 As CoolSculpting® is not a surgical procedure and no incisions are involved, there will be no visible scarring. Patients can expect to experience an intense cold sensation during the procedure. This feeling typically subsides within a few minutes as the area continues to numb. This cold can be accompanied with some pinching, pulling, and tugging of the skin. This discomfort is mild and goes away quickly. During CoolSculpting®, a gel pad is applied to the treatment area. The CoolSculpting® applicator then delivers controlled cooling that targets and freezes fat cells. Over the following weeks, these destroyed fat cells are naturally processed and eliminated from the body. What does this procedure feel like? Although you can expect to feel a little cold, patients consider this procedure to be comfortable and painless. There is no need for anesthesia, and you can spend the treatment reading, listening to music, or relaxing. The eradicated fat cells tend to be processed from your body within a few weeks. At that time, you will begin to notice your slimmer and trimmer physique. Although results can vary, CoolSculpting® treatment typically reduces the number of fat cells in the targeted area by 20 percent. CoolSculpting® results are considered permanent because the fat cells removed will not return and the untreated areas will not experience any fat redistribution. It is important to remember that while the treated fat cells are gone, additional fat cells can form. It is recommended that you continue a healthy lifestyle with regular exercise and a well-balanced diet to maintain your results. Even if weight gain occurs, you will still look slimmer than if you had not had the treatment. Many different cosmetic procedures will effectively remove excess fat and leave you looking and feeling slim and contoured. None of these procedures are necessarily better than another; it all comes down to what is right for you. During your consultation at our Birmingham, Alabama office, our staff will discuss your options and the procedure that will best allow you to reach your physical goals. What areas does Dr. Grotting cover? Dr. Grotting’s practice is based in Birmingham, Alabama, but patients come from all over the country to receive his treatments because of his highly regarded reputation both within the community and internationally.